In this Peg + Cat game, your child can learn about patterns by helping create a dance for Peg's chickens. Use plastilina para crear bolas de diferentes colores. Use plastilina para crear bolas de diferentes colores. Juegue con su niño para crear patrones de repetición como amarillo, verde, azul, amarillo, verde, azul, etc. Luego haga que su hijo se cubra los ojos. Retire una bola (dejando un espacio vacío). Cuando el niño abra los ojos, pídale que trate de adivinar qué color falta. Diga en voz alta el patrón junto con el niño para ayudarlo a descubrirlo. ¡Es su turno para adivinar el siguiente que falta! Peg and her friends find math all around them, including in the kitchen. Together with your child, look for all the ways that you use math as you bake and decorate a delicious honey cake. Los niños pequeños podrían aún no tener el control motor fino como para dibujar, pero las pegatinas son una buena manera de crear diferentes patrones. Elmo wants to make a book. Your child can choose one of the titles -- Up and Away, Under the Sea, or Blast Off -- and then add colors and stickers to the pictures to help Elmo make his book. La próxima vez que usted y su niño construyan una torre con bloques, alternen entre cuadrados y rectángulos. Gabriela is sorting her vegetable harvest. Your child can select vegetables to practice identifying and extending simple patterns. Zeros are very important when it comes to place value. Your child can learn more about place value with this activity that explores the power of zero. Your child can practice counting up to 10 by collecting an assigned number of hidden 'chickens' and then counting them out loud to make sure the right amount was collected. In this app, your child can play fun math and science games that explore shadows, weather, and motion. Your child can help save Ecotopia from Hacker's disasters by adding animals and plants to keep the ecosystem healthy. Hacker is trying to drop magnetite on Motherboard. Your child can help stop Hacker by matching equivalent fractions, percentages, and geometric shapes. 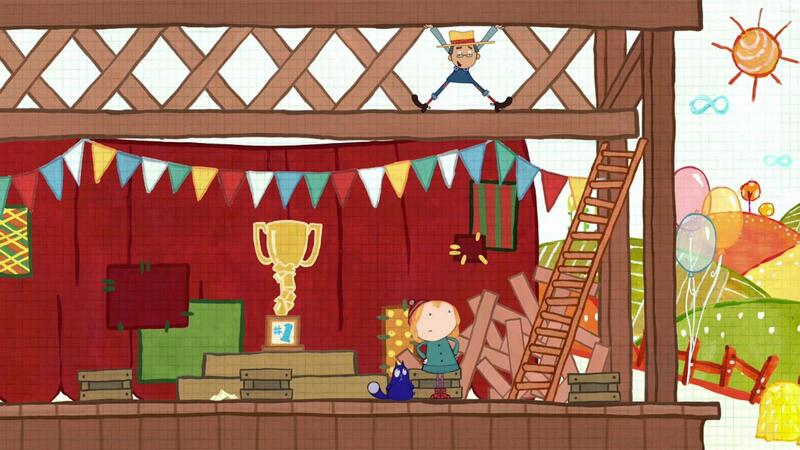 Peg + Cat help the farmer build the stage using their puzzle skills by finding the correct shape for the missing piece. 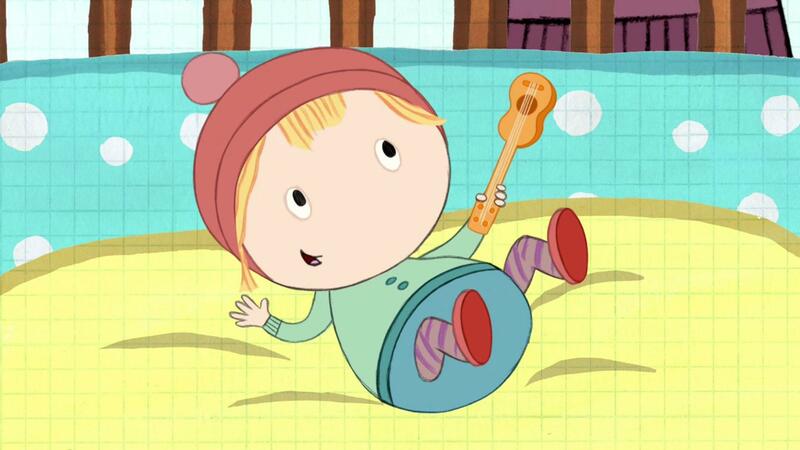 Peg + Cat sing about growing bigger and getting older.